While today’s Apple spotlight is on its watch, the company also gave the Apple TV some love with news of an exclusive channel launch and a price drop. Apple announced that the Apple TV would be one of the exclusive streaming devices to support the new HBO NOW streaming service. While Apple has the first rights for new digital devices, Comcast and others can sell the service to their customers. HBO NOW is the network’s first leap from partnering exclusively with pay-TV providers for its content. The service will launch in early next month and will cost $14.99 a month just in time for the Game of Thrones season premiere. Anyone that subscribes during April via an iPhone, iPad or Apple TV, will get the first month free. 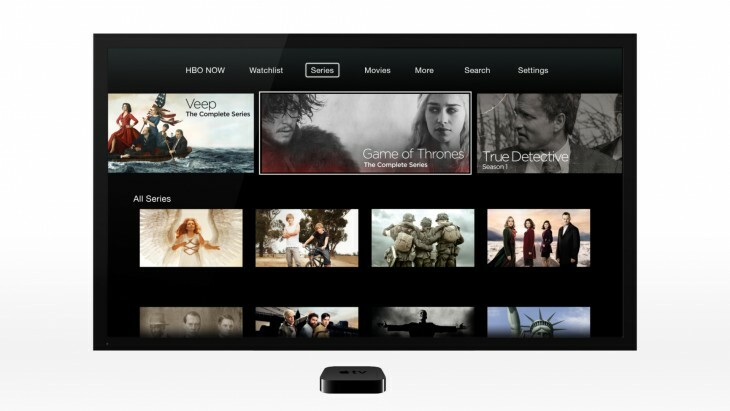 At launch, HBO NOW will be available on iOS devices and PCs. So you’ll still be able to watch it on your computer if you don’t have an Apple device in your home. The Apple TV also got a price drop to $69. Tim Cook says that 25 million Apple TVs have been sold. With today’s news, expect that number to jump.